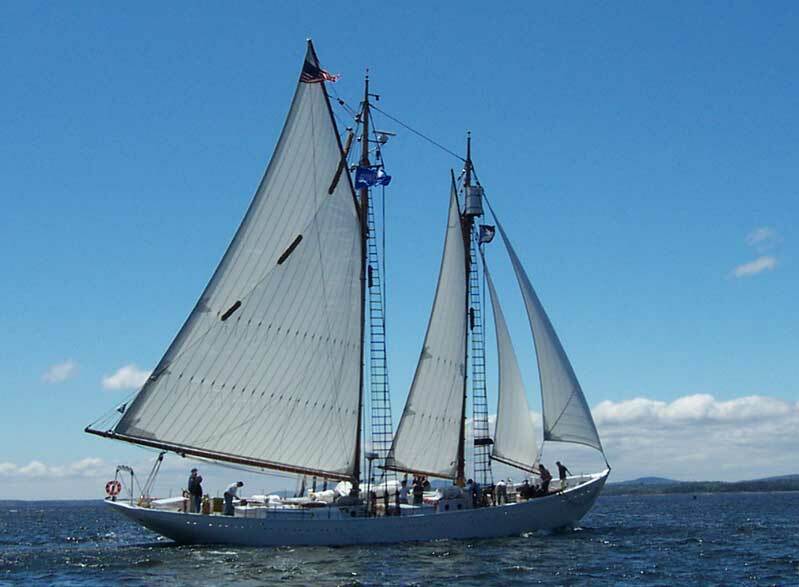 The Schooner Bowdoin serves the students of Maine Maritime Academy and the educational community of new England with a broad range of programs in seamanship and ocean studies. Bowdoin was originally built for Arctic waters in 1921 and is one of the strongest wooden vessels ever constructed. Commissioned by explorer Donald B. Macmillan to facilitate his work in the high northern latitudes, Bowdoin has made 28 trips above the Arctic Circle. April 8th - Bowdoin's Birthday! We had the pleasure of seeing Bowdoin at the town dock in Castine last month. Beautiful and strong looking! Expertly handled also.